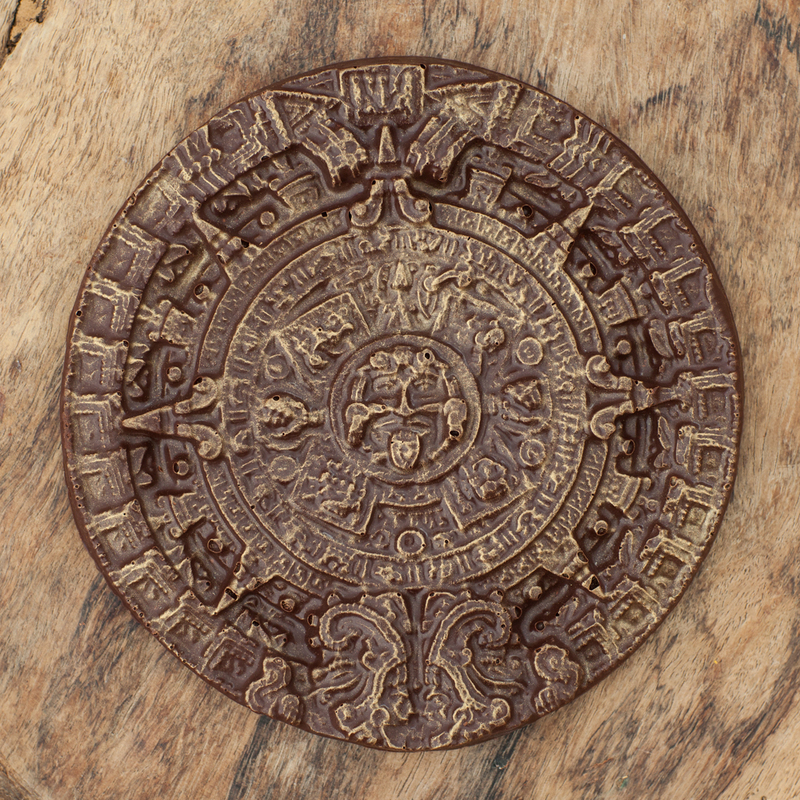 A solid ornate replica of the Aztec Stone of the Sun, displaying the ancient concept of cyclical time, in our raw organic stone ground chocolate, dusted in edible gold. 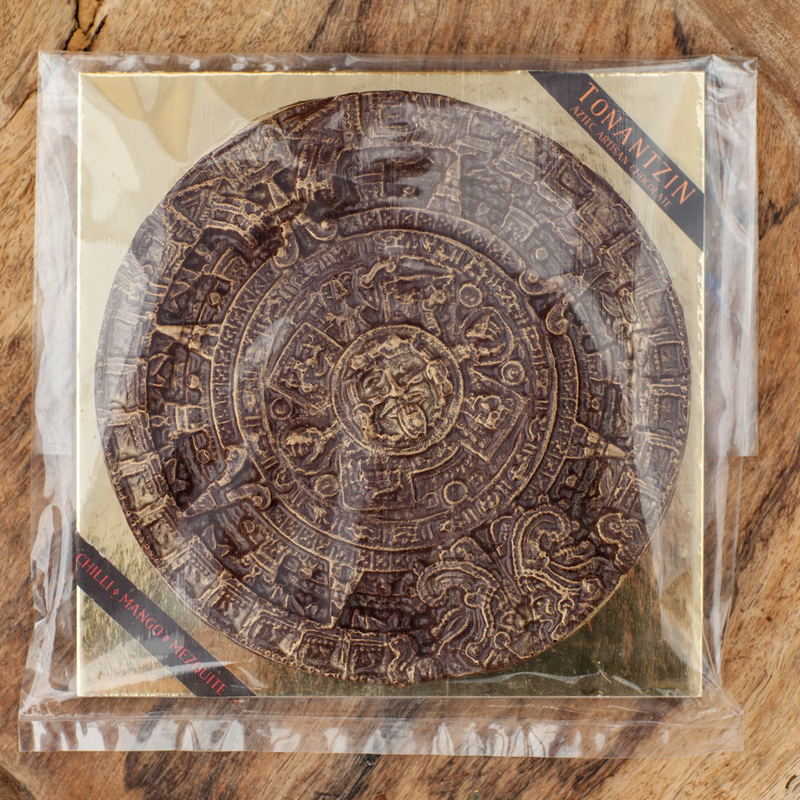 These make impressive gifts and are wonderful to share during celebrations. Please not your flavour preference in comments and allow 10 days as they are made to order.